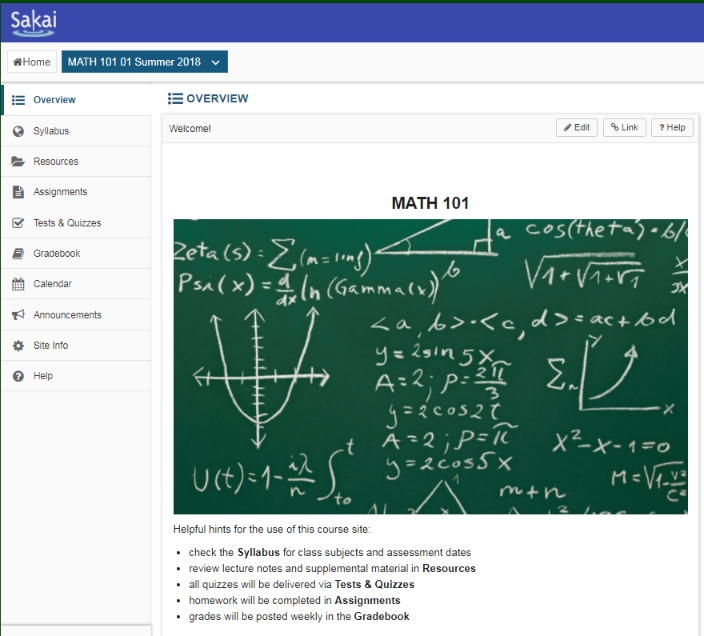 Sakai Guides and DocumentationSakai Complete User Guide OverviewHow do I edit the Overview site information display? The Overview Site Information Display is the area on your site's landing page that contains information about your site. 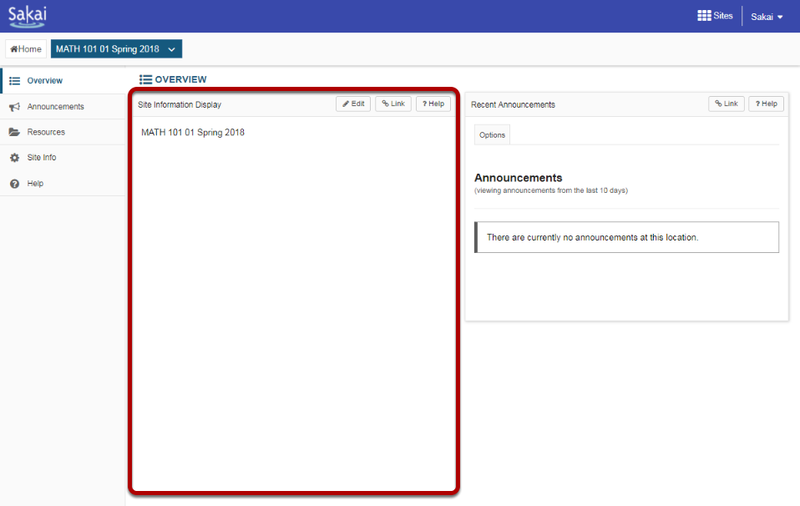 It can contain information for students such as a welcome message, the course outline, or an image - anything you want site participants to know. To access this tool, click on the title of the site, or select Overview from the Tool Menu. View the Site Information Display. The Site Information Display comprises all of the large display area. Options for editing the Site Information Display. Replace "Site Information Display" with your own text using the Title field. 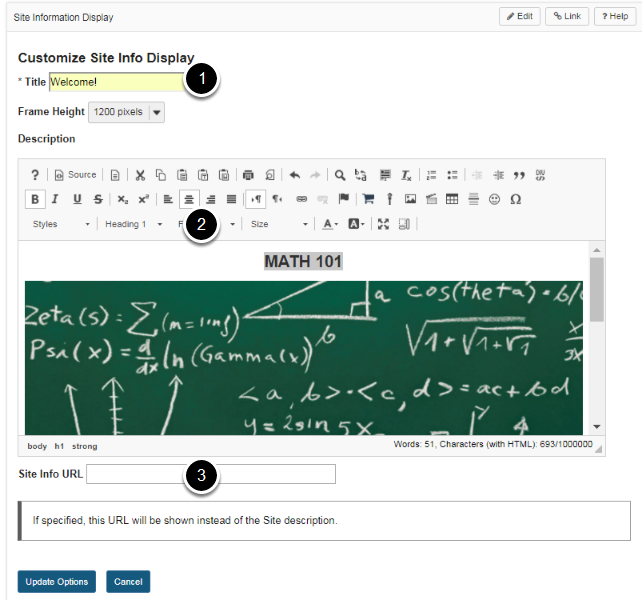 Add formatted text or an image using the Description rich text editor. Link to a department website or html document by copying its URL in the Site Info URL field (optional). If used, this URL will replace content created in the Description text editor. Click Update Options when finished editing. Next: What are Permissions and Roles?